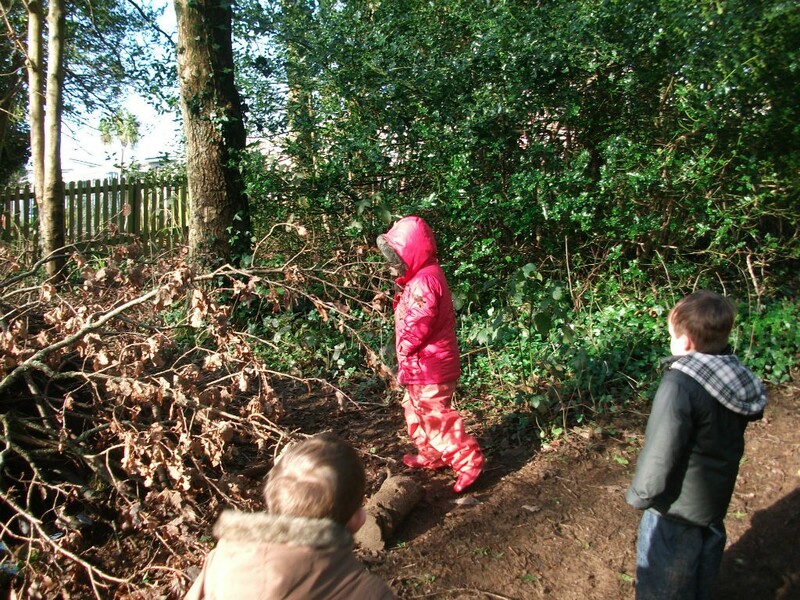 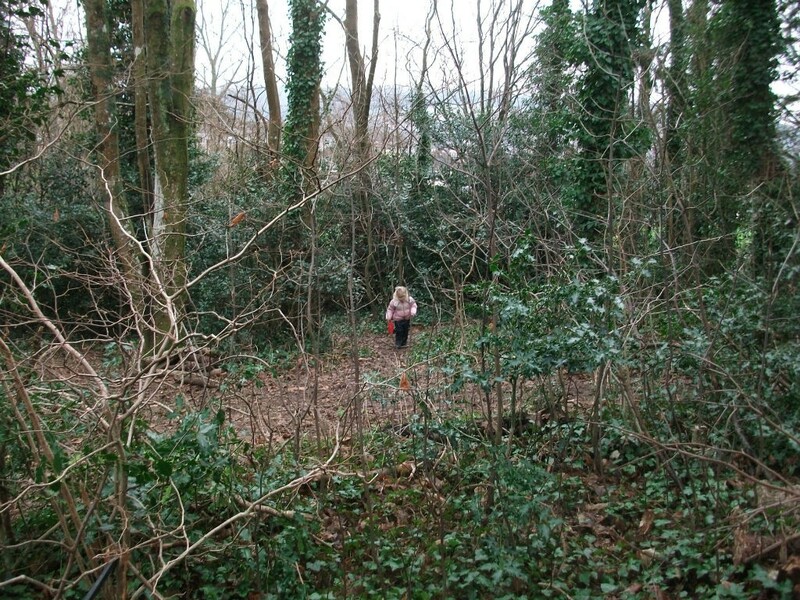 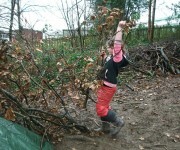 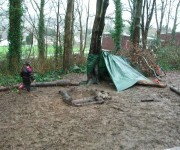 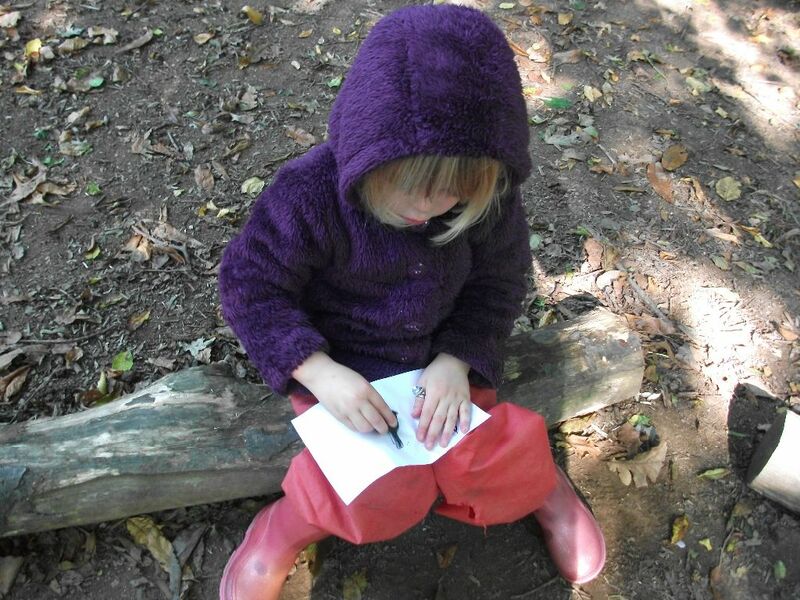 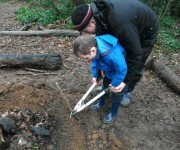 Our forest school sessions are run all year and in all weathers, unless conditions are dangerous, as we feel it is important for the children to gain these experiences. 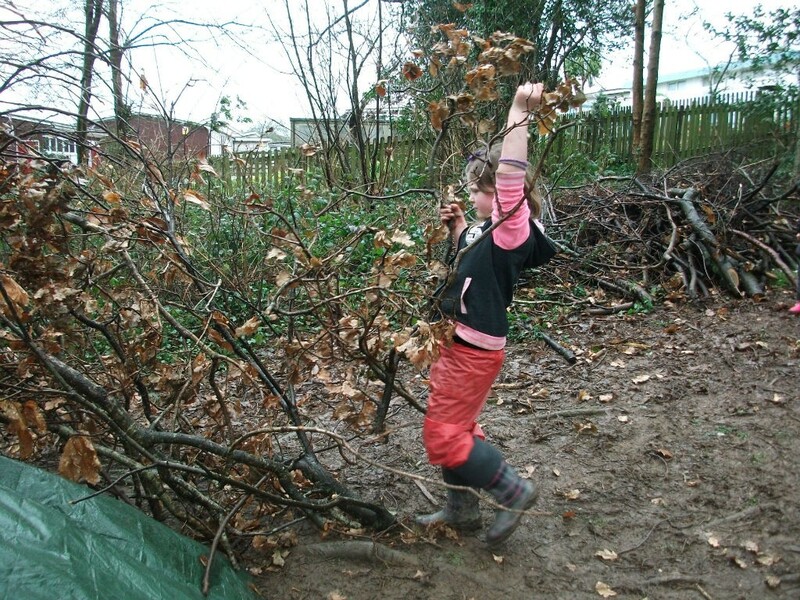 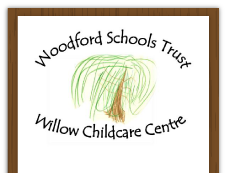 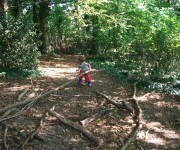 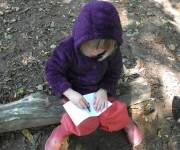 Most of our staff have undergone training so that they understand the concept of forest school and its ethos. 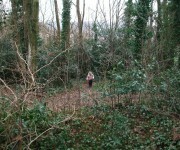 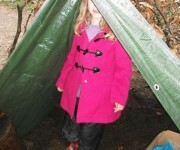 I am a fully trained Forest School Leader and I am trained in outdoor first aid. 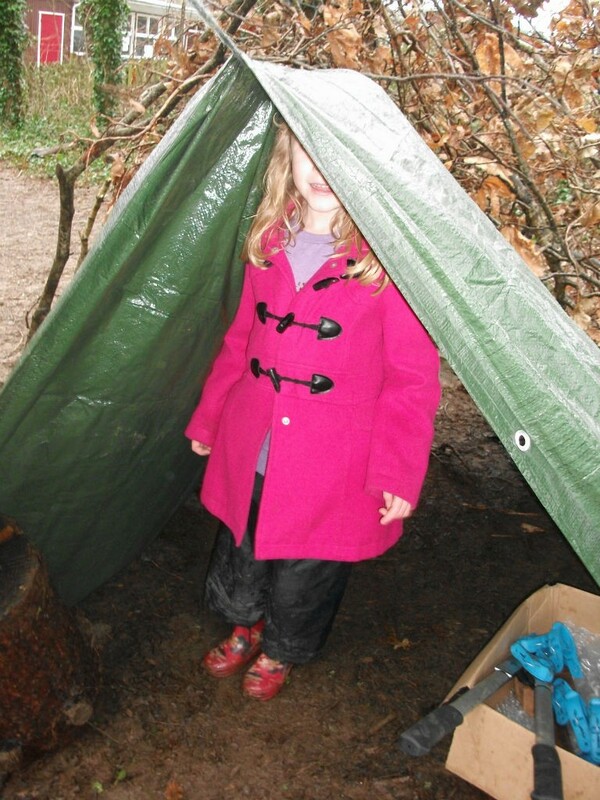 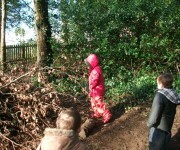 We ask parents to provide wellies for their children and we have waterproof coats and trousers on site if required. 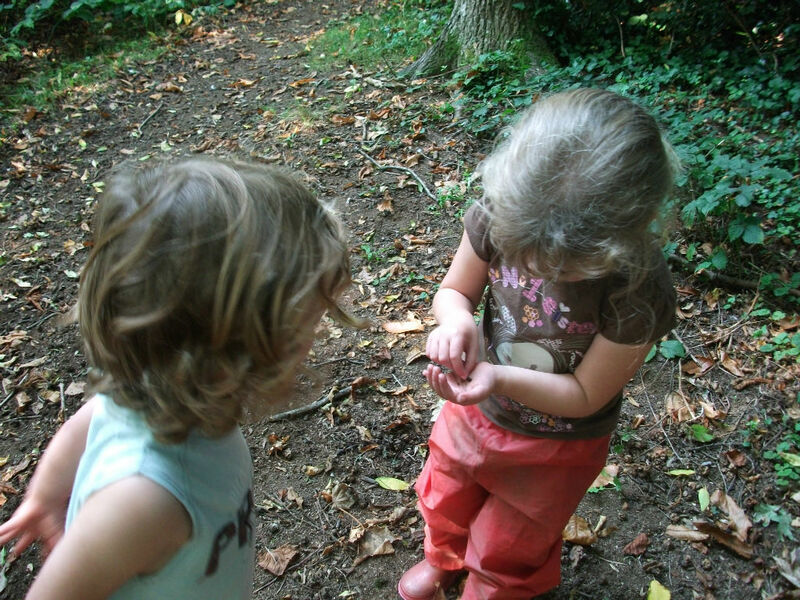 Playing outdoors is essential for young children, not just for their growing bodies, but for the development of their minds too. 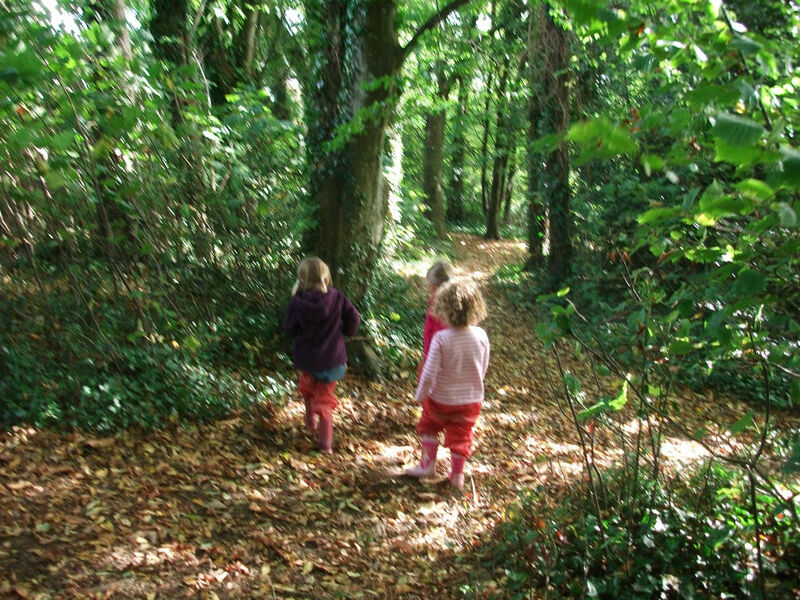 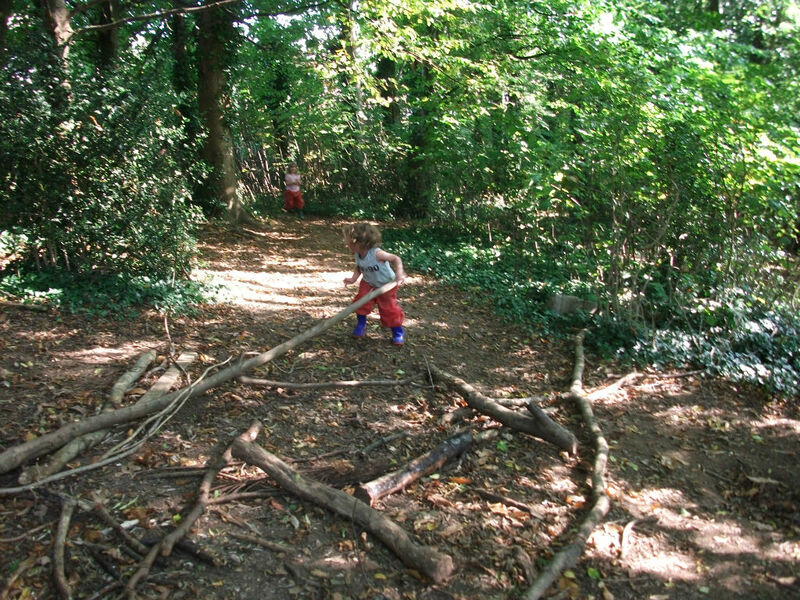 Outdoors they have opportunities for investigation, exploration, for creative experiences, for working together in imaginative play, for sharing and co-operation. 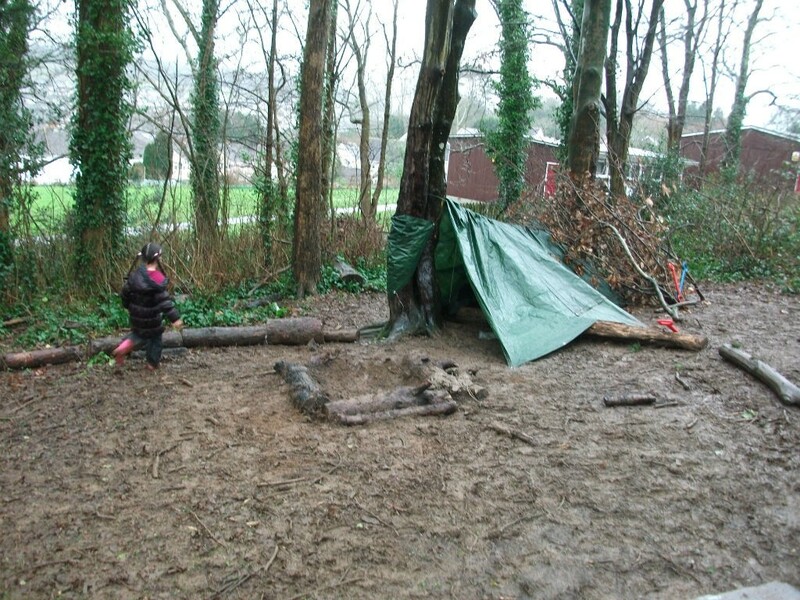 We ask you to provide warm clothing, wellingtons and raincoats and we have waterproof suits, so that children can play outside in all weather. 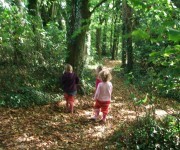 We feel that it is important to promote a healthy lifestyle right from the start. 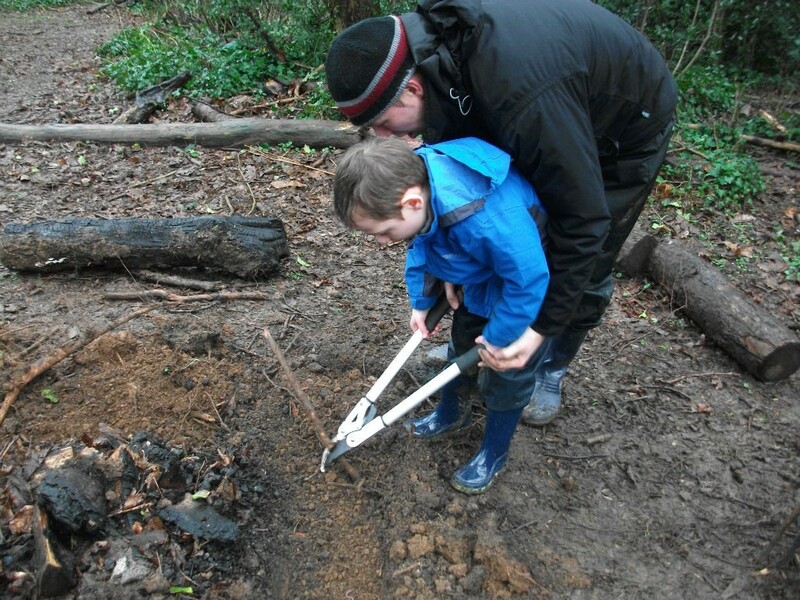 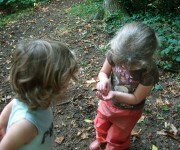 We encourage children to play outdoors and provide opportunities to develop both their bodies and their minds.